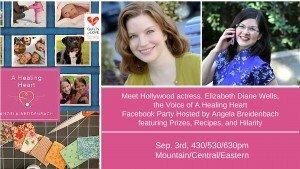 Facebook Party for A Healing Heart Audible Book! Come Join the Fun. Sep 3rd! You can start by listening to the Grace Under Pressure Radio interview with Elizabeth Diane Wells all about courage and facing fears! It’s going live on Tuesday on iTunes! 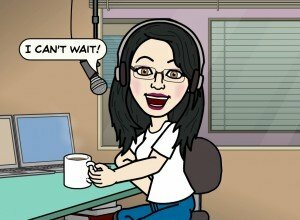 Link to iTunes show page where you can subscribe, leave a rating and review for extra entries into the prize drawings. And click here to go to the Facebook party on Sep 3rd. Congratulations! Please private message the author offering the prize. They’ll do the same so they can get choices, when offered, of ebook or paperback and/or address to mail the prize or email it. Tina Wilson — Leann Harris’ book, The Last Lie. Carrie Moore Gould — Laurie Alice Eakes’ book, Choices of the Heart and 1 Skype or Google Hangout with Angie, date to be determined. Debbie Curto — Gems of Wisdom 10 book pack for Bible study or Book Club, including a virtual visit by Angie at a date to be determined together. I think I have everyone listed. But if for some reason I missed a name, I’ll double check tomorrow afternoon. I’ll be spending tomorrow afternoon getting prizes out to everyone. But if you haven’t heard from me by Saturday morning, please contact me by private message. There’ll be a few more Facebook parties coming this fall, including Sep. 14th! That one is all apple-themed! So be watching for your invite to that party and more awesome prizes from published authors! Thank you so much for coming tonight! 5 grand prizes of A Healing Heart Audible audio book voiced by Miss Elizabeth Diane Wells. A virtual visit to your book club or Bible study with Angela Breidenbach on Skype or Google Hangout. Eight heartwarming novellas of Christmas’s gone by where the true meaning of the season warms your heart and love flows as fast as apple cider. Grab your favorite drink, no matter the temperature outside, curl up in a cozy chair and lose yourself in holiday romance. Eleven Pipers Piping is in this set that’s currently held #1 in several Amazon Bestselling categories for a couple of weeks now! Would you like 8 books in 1? 3 more authors are guest appearing and giving away these books! Leann Harris’ prize will be The Last Truth. 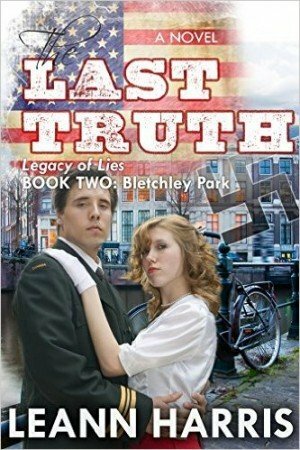 Betrayed by her fiancé to the Nazis, Linette Van Linder escapes the clutches of the Waffen SS and runs into American reporter, Michael St. James. Michael refuses to abandon the woman who just ran into his life and knows he can’t allow her to be arrested for standing for justice. The only way he is able to save her is marry her to get the exit visa. Their forced marriage becomes more than a simple means to an end, but two souls bound in the fires of war. Linette works as a spy for the British Army while Michael joins the American Army and becomes attached to Dwight D. Eisenhower. As Linette and Michael join the fight to win against the darkness that has settled across Europe, they struggle to come to grips with the people they’ve become. And wonder if their love will survive the struggle. About Leann: Leann has always had stories running around her head, and started writing when her youngest child started school. Her first book was published in 1993. She’s a teacher of the deaf and written all her adult life. She’s been contracted with Harlequin through her eighteenth book. She’s written romantic suspense, inspirational romantic suspense, futuristic and inspirational romance. She has also ventured into Indi books. In the series of Legacy of Lies, Book1-The Last Lie, 06/14, Book 2-The Last Truth, 11/14 are out. Book 3-Stolen Secrets should be out in early Fall 2015. Her last LI book, A Rancher for Their Mom, was a June 2015 release. Esther Cherrett comes from a proud line of midwives and was trained by her mother to take over the family calling. When a terrible scandal threatens all she holds dear, Esther flees, taking a position as a teacher in the wild western mountains of Virginia. But instead of the refuge she was seeking, Esther finds herself in the midst of a deadly family feud–and courted by two men on opposite sides of the conflict. All she wants is to run away again. Yet could it be that her past holds the key to reconciliation–and love? S. E. Thomas (Susan Thomas) is giving Habakkuk’s Plea during the Facebook party tonight! Though he tries to convince the people to turn to Elohim, they will not listen? Will Habakkuk find a way to reach them before it’s too late? Elohim is testing his heart, testing his compassion. Habakkuk must learn to love the people he is called to serve. But when someone close to him dies, he cries out in agony. “O LORD, how long shall I cry, and You will not hear?” Will Elohim give Habakkuk the answer he longs to hear? Or is this only the beginning of his test of faith? About S.E. Thomas: S. E. Thomas (Susan) is a multi-published, award-winning author and an editor, speaker and publisher. She has a B.S.E. in English Education from John Brown University and a master’s in philosophy from the University of Idaho. She owns and operates The Dramatic Pen Press, LLC in Lolo, MT. Susan has been involved in both ministry and writing for over twenty-five years. She has extensive Biblical and theological training, which she loves to incorporate into her work. She writes Biblical historical fiction, modern fiction, westerns, mysteries, YA dystopia/sci-fi/fantasy, Christian drama, and philosophical Christian apologetics. Susan is a missionary kid/preacher’s kid (a.k.a. double-trouble), and is married to a Navajo chemical engineer, Aaron. They have a daughter in college and two sons at home. In Susan’s spare time she volunteers at a life-embracing pregnancy resource center, teaches adult Sunday school, co-leads a home group Bible study, leads a writers’ critique group, quilts, and gardens. Thank you to all my guest appearing celebrities! I know you’re making the event special for all the attendees!